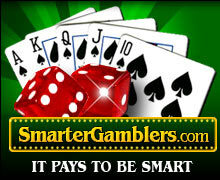 SmarterGamblers.com - Gambling strategy, casino tips, casino review, gambling news, and more! Weekly Roundup - March Madness has arrived! Another Friday the 13th! Hopefully everyone survived the last one without much damage. Anyways, Selection Sunday is coming right up, and that means we will soon be able to fill out our brackets. For sports bettors wanting to test their luck, check out the Bodog Sportsbook for all the latest March Madness Lines you can bet on (US players accepted!). Many online poker players will tell you that the lower limit games have grown increasingly competitive over the last year due to many amateurs using computer “bots” and statistical programs to try and beat the game. To combat this growing problem, CogniSafe Ltd. is now licensing their PittBoss Software that claims the ability to prevent cheating from bots, software cheats and hacking, statistical programs, insider information, and collusion. While the technology probably isn’t perfected at this point, it’s great to see that there are now such sophisticated tools available to combat so many different methods of cheating. Pennsylvania’s seven licensed slot-parlors have been giving out free comps to lure people in. Pennsylvania Slot Parlors are expected to be even looser with comps this summer when the New Jersey (Atlantic City) tax on complementaries is completely phased out putting them on an equal playing field. Can you increase your Blackjack profits without counting cards?